Did you know that your child’s dental health might be largely dependent on your own? According to a 2010 UCSF study, children whose mothers suffered from tooth decay were twice as likely to develop cavities than their peers with healthier mothers. Dental caries, or tooth decay, is caused by oral bacteria. These bacteria can be spread from mother to child when they share foods or beverages. Mothers who practice poor dental hygiene may also be less likely to pass on good dental habits to their children. In many cases, the families in the study who suffered from poor dental health were those who lacked access to appropriate dental care. Many of these families were low-income and lived in areas that did not feature affordable dental services. You can help your children enjoy improved dental health by not sharing eating utensils or drinks, limiting their consumption of sugary beverages or sweet treats and by encouraging only water before bedtime and limited snacks. Your children should also brush twice daily or after meals and floss daily. Younger children may need to be monitored until they establish good brushing habits. 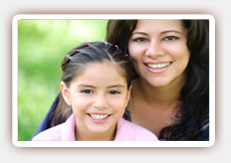 Families should seek regular dental care and professional cleanings. 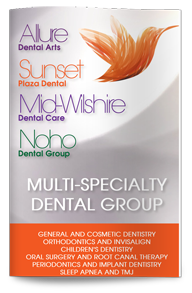 Dr. Ghasri, dentist in West Hollywood, offers gentle, caring dental treatments for the whole family, and by accepting most major dental insurance plans and offering payment plans, she works to keep quality dental care affordable for the whole family. Give us a call today to find out more or to schedule your next checkup.